For the 2018-2019 season, Volkl is introducing the 5th generation of their popular all-mountain ski, the Mantra, calling it the “Mantra M5.” They’re also introducing a women’s version of the Mantra M5 called the Secret. If you haven’t already, you should definitely check out our Gear:30 podcast with Volkl’s lead engineers behind the new Mantra M5 and Secret. They go into great detail about the skis’ evolution, and what makes these newest versions so interesting. Now that we have the skis in hand, we can share our initial impressions, as well as Sam Shaheen’s comments on the 177 cm Mantra M5’s on-snow performance. Just a heads up: our “177 cm” M5 is measuring long, coming in at 178.2 cm, which actually makes them 1 or 2 cm longer than many other 177 cm skis, and putting them more in line with 180 and 181 cm skis. The new Mantra M5 features a rocker-camber-rocker profile, which is a significant departure from the current, full reverse camber version. The new Mantra M5 has about 3 mm of camber underfoot and it’s tip and tail rocker lines are actually quite deep — they start far deeper into the ski than the last cambered version of the Mantra (2013-2014). However, the tip and tail splay on the Mantra M5 is pretty subtle. Of the skis we’re going to be mentioning here, the most similar rocker profile is the 17/18 – 18/19 Blizzard Bonafide. The Mantra M5 is also narrower than the last version — 96 mm underfoot (as opposed to the current 100 mm), and has a tighter sidecut radius (19.8 m vs 23.7 m in a 177 cm). The mount point of the new Mantra M5 is more than 2 cm further back than the mount point on the 17/18 Mantra, though Volkl does include marks for +1 cm and +2 cm in front of that mark. So we’ll be sure to weigh in on how the ski feels on snow at these different mount points (and how sensitive / not sensitive the ski feels to these different mount positions). I like this flex pattern quite a bit. It’s solid. But it’s not over-the-top burly. I.e., I’d say that the M5 feels like a Mantra should. The Bonafide’s tail is slightly stiffer than the M5’s. And the Bonafide’s shovels are slightly softer than the M5’s..
Also, the 180 cm Bonafide actually measures at 177.6 cm, so the “177 cm” M5 is actually longer. The Masterblaster has softer tips & tails than the M5. And at a length of 178.25 cm, the 181 cm Masterblaster is almost the identical length as 177 cm M5. The Enforcer 100 has slightly softer tails than the M5, but there is not much difference here. The Enforcer also has slightly softer tips — but I was actually expecting the Enforcer 100’s tips to feel softer (compared to the M5’s) than they actually do. Point is, there is less difference between the flex pattern of the two skis than I was expecting, but do keep in mind that we’re comparing the 177 cm M5 to the 185 cm Enforcer 100. So, while Volkl does talk about the weight savings of the new Mantra M5, it’s not coming in drastically lighter than our 17/18 pair — though it’s important to note the M5 is ~4 mm narrower underfoot. The new Mantra M5 weighs in right around the middle of the pack for the 95-100 mm all-mountain category. We “all” look forward to you putting the new M5 up against the 17/18 Mantra, the Blizzard Bonafide, the Nordica Enforcer 100 & Enforcer 93, and the HEAD Kore 93 and new Kore 99. 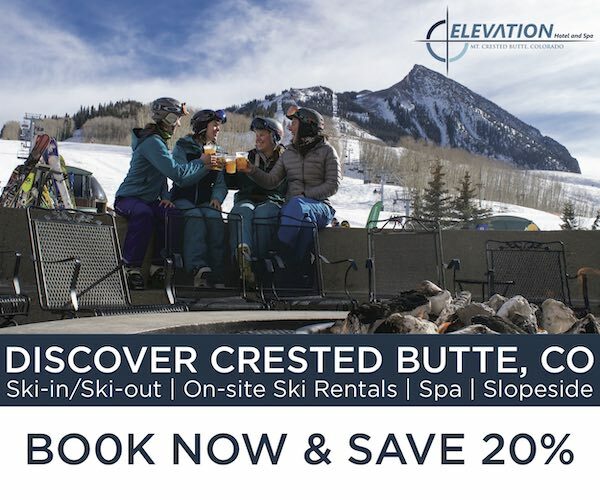 Jonathan, I have recently discovered your site concurrently with rediscovering skiing itself. Been off for a couple of decades… horrible. My new adventure after now skiing 19 times in 2 seasons while trying about 10 different skis leads me to this: All this technology is some trip! 1. First day on 177 M4 Mantras was tons of fun on chalky snow including bumps but called for a bit too much work in the soft. Almost a buying decision. 2. The M5 – a completely euphoric first day with 8″ of fresh on a hard base. Could bust off the treed pitches and turn quickly anywhere and with speed. Day 2 was similar with 10″ of soft but piling up. Great energy and rebound when compressing into a turn with speed. Fun! *I read your review after this and agree wirh you 100%! * The stability was really confidence inspiring and the spectrum of the M5 definitely broader than last years M4. Turning was intuitive and smooth -love short and fast turns reactive to the terrain. I did not notice a compromise from the M4. Boot-top powder was effortless. Frankly, I don’t know how such a substantial ski is so intuitive. A clearly improved ski! I am completely taken with your description of the Liberty Origen 96. I would prefer the 182’s as I’ll give up a little bit of high end stablily in trade for a more reactive ride. My dream concept is now the M5 with a little more ‘freedom’ to make crud busting turns wherever. Will I like this ski better than the M5? Looking forward to your next review of the Origen 96. Hi, I’m looking for a new pair of skis. I want a pair of skis that handles well on piste (I’m still 40-50% of my time on piste) but I’m more and more going off piste and on steeper, more difficult terrain so I was thinking about a a wider ski that excels in chopped, variable conditions. I’m also a pretty playful playful skier that likes to jump of little drops, do 360’s/180’s of little jumps and do some park from time to time. I only ski 2 weeks a year so I don’t have the luxury to pick my skiing days depending on the weather. I’m also a very lightweight skier, being 5’11 and weighing 135 lbs. Right now I’m skiing the Volkl Kink 16’s at 171 (who are 89mm width) and although I love them on piste and in the air, I find them a little to narrow/ difficult off piste. Do you think the Volkl Mantra’s would be a good ski for me? And what other ski’s would you recommend? I’m a tele skiier and my first mantra was the 2007 version. It’s been skiied so hard and so much that it had been relegated last year to being my marginal conditions/rock ski. And with this year’s snowpack conditions in the west, it got even more banged up, and I just need to replace it next year. I simply love the way it carves and powers through all matter of conditions. It really has been my go to ski at the resorts for everything but the deepest powder days. So I’m looking to replace with a similar performing ski, and until I heard about the return of the traditional camber in the M5, I had been scouring ebay for the older pre ’15 models. Now I’m going to reconsider. Look forward to hearing more about how the M5 performs, especially in comparison to the 2017-18 model. Many thanks Jonathan for all the work you do! I spent time on the M5 at Loon this week for demo days. Skied it back to back with the new Bonafide and Enforcer 100(among many others). I preferred both of those to the mantra. Mantra def felt lighter and less damp than those 2 skis. Very interested to hear your comparisons. When you talk about being eager to compare all your favorite damp, metal laden, chargy, all mountain skis, I can’t for the life of me figure out how the Kastle MX98’s never made it into the rotation (I guess it would be FX96HPs now, unfortunately, as they sound toned down). Haven’t skied the latter, but have skied the MX98s and found that they made bonafides etc. feel like rental skis. The only ski in your damp, chargy line up I haven’t skied is the monster series, and I imagine that would be the closest cousin to the Kastle. I would love it if you’d include the M3 Mantra in your comparisons with the M5, as it seems like both the M4 and M3 are major influencers of the M5. I’ve been skiing on these for the last several weeks and mostly concur with your review. I find the gap in the middle of the ski, between the fore- and aft- titinal perimeter frames, makes the mid-section softer flexing than the last four years’ Mantras. Coupled with the relatively long, if subtle, rocker, the ski seems to want to maintain contact with the snow throughout the turn radius. Behavior-wise I’d say “more playful” is accurate, while still being a solid ski for charging hard in many conditions. At speed, when you aren’t on edge (for example on run-outs in the Sierra), the reduction in yaw felt in the prior generation, full camber skis, is noticeably reduced. The camber improves the tracking. It’s a very fun ski that will suit advanced to expert skiers, and its now suitable for a physically stronger intermediate skier who wants to progress in technique. Could these be mounted with Tech bindings? Would you want to or would the weight of these skis preclude you from ever deciding to take these skis in the BC. You could for sure — I mean, you can pretty much drag anything into the backcountry, right? 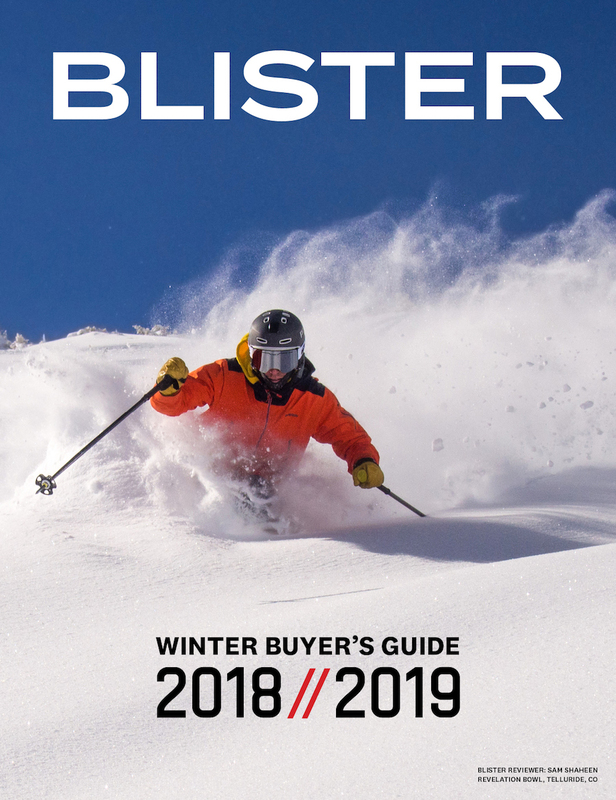 But these days, there are so many good skis — longer and wider good skis — that are coming in 200-300 grams lighter than the Mantra, that I *personally* wouldn’t be inclined to put a tech binding on the Mantra and tour on it. Then again, if I was mostly skiing difficult conditions in the backcountry, the more inclined I might be to tour on a Mantra. So this one really comes down to personal preference. Took delivery of an “early release” pair of 2019 Mantra M5’s in 184cm and put ten days on them so far — in Colorado’s firm and fast conditions plus a little powder. Incredibly impressed with their performance across a range of snow types. They are definitely “friendlier” than previous iterations, yet still provide stimulating response to skilled, aggressive skiers. As background, I spent three seasons on the M2 (2009 model), followed by five seasons on the M3 (2012 model), always in 184cm. Both previous iterations were demanding but fun, rewarding, versatile skis for skilled pilots. Like many stronger skiers, initially I migrated to the Mantras after free-skiing SL and GS racing skis for decades. With their softened, wide, race core construction, the Mantras were a wonderful all-mountain ski. They felt familiar but even better. Reviews of Volkl’s fully-rockered M4 version struck me as mixed, so I wasn’t sure there would be another pair of Mantras in my future. The all-new M5 changed that, with a return to traditional camber underfoot plus low-profile rocker in the tip and tail sections. The initial M5 reviews were compelling, so I took a chance on buying an early-release pair this winter. Performance is exactly as described: Classic Mantra athleticism, confidence and carving ability but with a lighter, more lively feel and a bigger “sweet spot”, offering the line’s impressive competence stretched across a wider range of speeds and turn radii. Pressure the tips and the skis promptly engage, delivering a rich flow of feedback and satisfaction. Reviewers characterize the M5’s as “intuitive” — your brain thinks about doing something and the skis respond. That captures my experience. They do a lot of things really well. For inspiring, all-mountain performance, I could not be happier with them. They are consistent with the M2 and M3, while offering a “category jump” in improvements over both. Last but not least, the 2019 M5’s look beautiful. Many people comment about their clean, understated, elegant graphics, given added interest and depth by their Titanal “Frame Technology” around the perimeter of the M5’s tips and tails. All in all, I think Volkl has fashioned a winner, breathing new life into its highly successful Mantra franchise. Well done! Skieed 6 days on these through lots of different conditions. Firm groomers, iced up skieed off runs at end of alps ski day, heavy eastern us “pow”, off piste cut up stuff and a few untracked runs. I’m not great at describing things, but really lined the ski. Felt u had to work them, and they didn’t allow u to cheat and ride them off the back at all. Trying to figure out flex points, but short radius is possible , medium is easy, but long turns feel awkward. Bump require some skill, but u can slide through them if you are aggressive. I ski the 177s on traditional bindings. 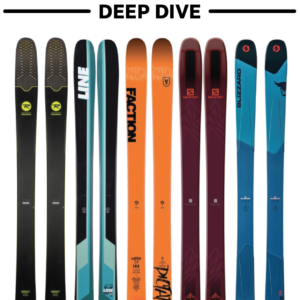 What are the tester choice between the Black Crows Daemon and the Volkl M5 Mantra? So – I’ve been on pure piste skis always, skiing hard and slalomy – right now I’m on Head iTitans (177). I ski at leat 3 weeks in European alps most years – lately, maybe it’s an age thing, I’ve turned 42 – I’ve been thinking about a wider and longer racecarver. I do like to wander off, but weighing 210 pounds, I sink on my Heads. Also, the Titans are simply too turny at high speeds; if I lean over at full throttle, the ski turn so sharply it looses grip. So I have been thinking wider, longer for a year or so. 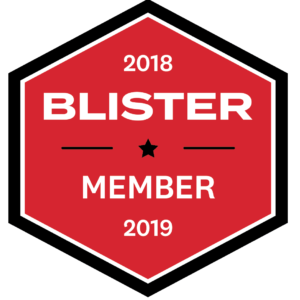 My instinct was to go Volkl rtm 86 – but lately I’ve been looking at things like the Mantra and the Bonifide (I love Blizzards racecarvers – like Bentleys). I don’t ski icy racetracks anymore. But i love a stiff tail. The thing is – will the Mantra or the Bonifide feel like a noodle under my feet? I would love at ski that I could take into the deep, but wouldn’t sacrifice the high speed GS-turns, that I love. I’ll be keeping my Heads for skiing with the kids og icy days, but I can feel the need for a longer radius, wider than 80mm under foot, and longer than 177… I was thinking Mantra 184 og Bonafide 187… but I have never skiid all-mountains skis before – always Blizzar, Voklk, Head og Atomic racecarvers…Will I be fast and safe on Mantras og Bonafides? How does the Mantra feel jumping? I don’t see much commentary about that. I ski in Tahoe and like to rip variable terrain pretty hard but am always looking for side hits or small cliffs to launch off. Wondering how the Mantra handles that type of thing or if it’s more intended for ex-GS-racers who don’t think about hitting cliffs etc. Have also been looking at the Masterblaster as an all-mountain ski. I don’t think any of us really think of the M5 as a jump ski – there’s really nothing playful about the ski per se. But for straightforward directional airs, I don’t see any real reason to steer clear of the M5, either. Then again, if you’ve read our Masterblaster review, you will get most of the stability of the M5, less precision, and a bit more playfulness. So, in short, I think you could be happy on either, but the more playful you want this ski to be, the more we’d steer you toward the Masterblaster. Any thoughts on the M5 vs the older, carbon-tipped Bonafides? Wasn’t a big fan of the fully-rockered Matras and always liked the Bonefides, but based on your new reviews I’m thinking the 2019 version might not be my cup of tea. Wasn’t sure how the M5 compared between the three. Thanks! Skied the M5 at Fernie last weekend on the groomers, powder and some chop. It performed beautifully in the latter two, jury still out on the groomers. In powder and chop, they felt very intuitive, fast and stable. Super easy and fun to ski at relatively high speed. I think I need to find their sweet spot for the groomers – was trying some short radius turns and that didn’t work all that well. They may do better at medium radius turns. As for sizing, I originally thought I would try the 184 but ended up using the 177, and it was perfect for me. I am 5’11”, 185 pounds and ski aggressively most of the time. if i where to put a ntn telemark binding on the m5 mantra. would you put it at the recomended middle point or on the +1 or +2 point? How does the ski handle at the different mount points ? I Purchased the Mantra M5 184 but have not mounted the bindings yet. I am considering mounting them +2. I demoed a pair of the same. The front of the skis did not grab and initiate turns as quickly as my 2010 Mantras, which steer like a Corvette. Might +2 help them initiate turns quicker? Even though the Mantra is not a true twin tip, I still ski switch a lot. So I am thinking that +1 or +2 might work better. What do you think ? Hi Mark, did you mount at +2, how do they ski? If anyone has the straight-pull measurement on the 184 or 191 M5, I would be grateful if you would post. Thanks! I have had my Mantras out since January 2019 and waxed them immediately. I now find the bases really dried out. I know I was lazy but for a base to look so dry after one month seems wrong. Anyone else have a comment? 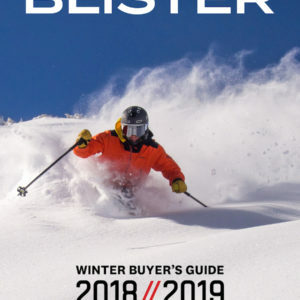 Hi, I was looking for a new ski to buy and Im not sure which one to buy. I am 1.76m and 60kg atm. Currently I was looking at the new Mantra M5 and the enforcer 93 as I want an all mountain ski that performs very well on hard snow/groomers when going at high speeds (I am an agressive skier) so I can get an easy edge hold when carving (my current ski, Salomon threats def do not allow me to do this whatsoever), while also allowing me to ski off-piste. I was told however, that the Mantra M5 is quite stiff and it would be hard for me to flex it because of my weight. The ski does seem to meet everything I want from it though so I am not sure what to buy. The enforcer 93 on the other hand also looked very promising. Mantra M5 sizing question? The review talks about the 177cm, but not 184cm? I’m interested if anyone could compare the M5 (184) to the Kartel 96 (181)? 6’2″ 210lb. Looking for a more playful, maneuverable bumb and tree ski. Both have a tight turn radius, and from reviews, it seems these both have deep rocker line that would allow for more smearing while still having some stiffness and stability. I’ve got some Belafonte 187’s, but they are more ski than I want for most days. I just purchased a pair of the M5 Mantras in 170cm. I am 169cm tall x 165 pounds personal size. I have not mounted yet, but plan to mount on the +1 line. My boots sole length is 293mm, so thinking that my ball of foot will be slightly rearward of average BSL if mounted on standard line. Anybody skiing on these at +1 or +2? Am I using good logic? just to report back after skiing the M5 Mantras mounted +1. Love these skis. Super fun, precise, rewarding skis. It’s so nice to have a ski that pulls me in to a turn when edged. I can make any size turn, no problem, just pay attention, and ski it like you mean it. I’ve skied these on firm groomers, heavy crud, bumps, everything except deep powder. These skis will do anything I ask them to so long as I stay energetic, and focused. By the way, I am so glad I bought the 170cm instead of the 177, ( the 177 were all sold out)these are plenty of ski for me in the stability department, not squirrelly at all. Disclaimer: I’m still pretty new to skiing. Skiiing blacks with effort, but not yet well versed in all the gear. So I recently purchased these (not yet fitted with bindings), but was wondering if it’s possible to mount Shift Binding on these for Resort and Side-country/pre-cursor to getting into backcountry. I’m sure I’m not taking into account many many things, but would like to learn. You’re input is greatly appreciated! !